The ancient beauty of the Maltese Cross is seen in this pendant, brought to you especially from Apples of Gold. A Maltese Cross is designed with four arms that are split by a "V" shape into two points each. The eight-point Maltese Cross also features arms that are tapered to be smaller as they intersect in the center. This cross pendant is forged of 14K yellow gold for a classically elegant look. A bright, highly polished finish keeps this gold cross pendant looking shiny and new. 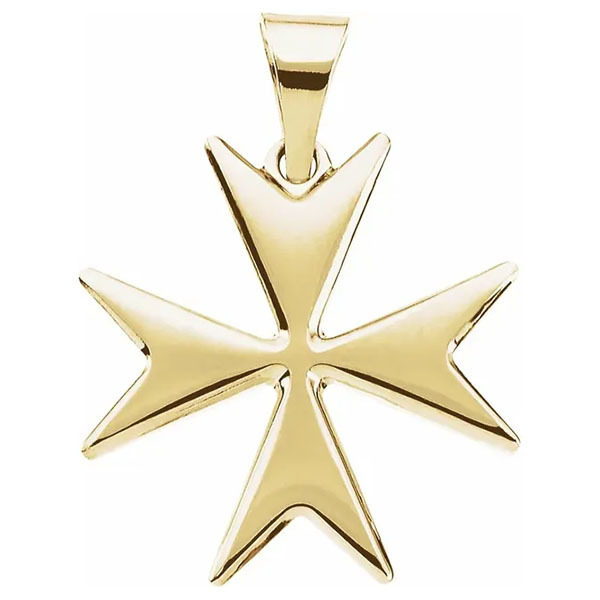 We guarantee our Maltese Cross Pendant 14K Yellow Gold to be high quality, authentic jewelry, as described above.